This is the original Luciole from Tistéane, characterized by its vintage look. 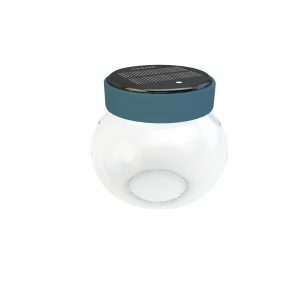 Nomadic and autonomous, designed for indoor and outdoor use, it offers up to 15 hours of light (for a full day of charge in the sun). 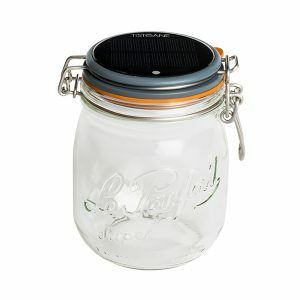 It consists of a thick glass jar, a metal handle for easy transport and hanging and a screw-on cover with a solar module, a battery and a LED system. A magnetic connector ensures the switching on of the lamp. 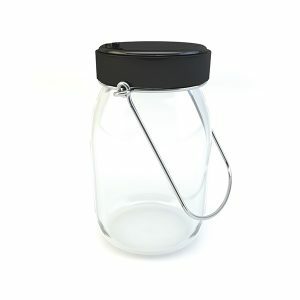 Customize your Luciole by choosing the color of the lid among our 8 options and the color of light (warm or cold), and enjoy all its benefits : design, eco-friendly, practical and fun.